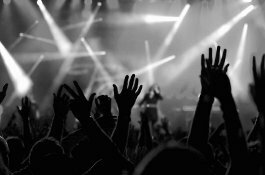 Arguably the premier venue for concerts in the United Kingdom currently; state-of-the art facilities, combined with only the world’s best live performances make it a perfect place to entertain. The transformation from the Millennium Dome to the O2 Arena under AEG has made it into one of the top venues in the country. The arena at The O2 truly creates a new benchmark in what both fan and performer can and should expect from a rock or pop concert in the UK. You will only see the world's hottest and most sought after acts on this stage; Bon Jovi, Justin Timberlake, Scissor Sisters, Prince, The Rolling Stones, Elton John, Take That… and what a way to enjoy them. With perfect sight-lines from every angle, crystal clear acoustics, obscenely comfy seating, wide concourses between aisles and a huge variety of snack and drink options to enjoy throughout the show. We've even put paid to that excruciatingly painful and frustrating tradition of the “fifty minute queue for the loo” by fitting 548 toilets.